Is There Financial Aid for Online College Students? Whether you’ve already enrolled in an online college, or have started to consider online higher education, it’s important to know what types of financial aid are available to you. If you’ve ever attended a traditional college, you may be familiar with some of the financial aid options for students: scholarships, grants, federal or private loans, and work-study programs. You may not be aware of the fact that many online institutions offer these same types of aid to their online and distance learners. Attending college online may also offset the general cost of education by eliminating the need for room and board and providing the flexibility necessary for students who want to attend college while working full-time. As with any decision about your education, it’s important to do research on the institution or institutions you are interested in attending and to talk with a financial aid counselor when possible. 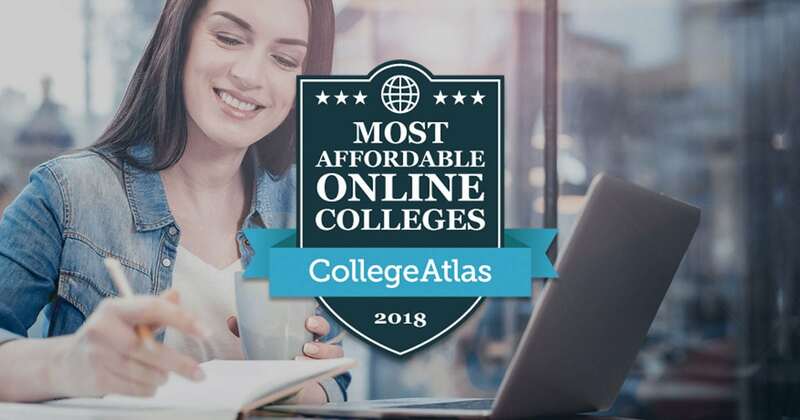 See how your school measures up against others by using the College Atlas online college financial aid rankings, and explore all of the following options to ensure educational and financial success. Each year the Federal Student Aid Office offers more than $150 billion in student aid to U.S college students. Federal student aid is available to students enrolling in most accredited online colleges. If you are eligible to receive federal student aid at your school, you will start the process by filling out a FAFSA. and loans, which will be paid back after graduation, which include Direct (Stafford) Loans and Federal Perkins Loans. 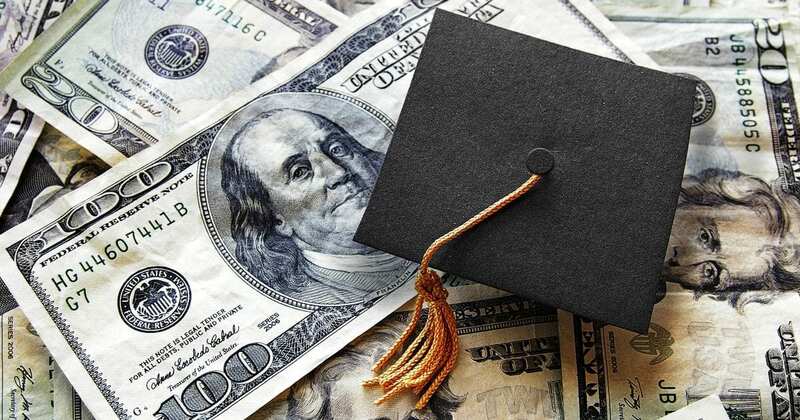 According to a ten-year report on financial aid trends from College Board, the total amount of federal aid granted in 2015 was $161 million dollars, up 62% from 2004. Federal Pell Grants: Granted based on financial need, typically awarded to students in a low-income situation. The maximum award amount for the 2017-18 award year (July 1, 2017-June 30, 2018) is $6,095. Federal Supplemental Educational Opportunity Grants (FSEOG): Granted to students with “exceptional financial need,” and range between $100 and $4,000. Teacher Education Assistance for College and Higher Education (TEACH) Grants: Awarded to students who plan to “become a teacher in a high-need field in a low-income area.” Students are obligated to teach for four years in the eight-year period following their graduation. If these requirements are not met, the grant becomes a loan, and the student must repay the loan, with interest. Iraq and Afghanistan Service Grants: Granted to students who do not meet certain Pell Grant requirements, and whose parent or guardian died in Iraq or Afghanistan following 9/11. Federal Work-Study (FWS) gives qualified students an opportunity to work part-time to offset educational costs. These programs typically assign students jobs that reflect their academic interests or benefit the community or school in some way. In a traditional school setting FWS participants might work as a front desk assistant in a dorm, or provide administrative assistance in a school office. Online colleges need to be accredited and meet the same standards to receive funding for FWS programs. 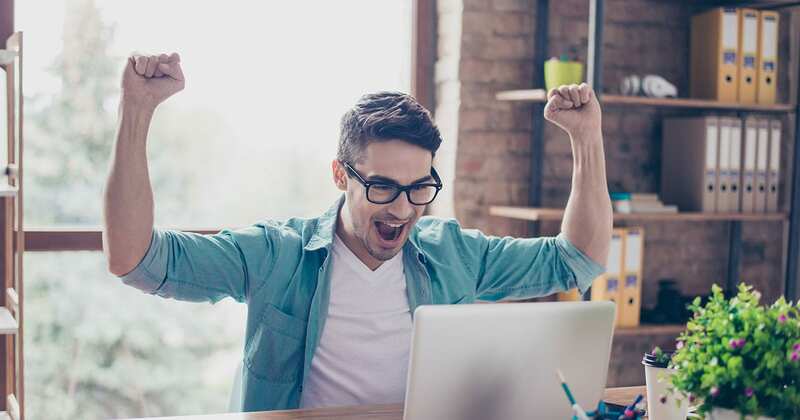 Capella University was the first online college to offer FWS and hires students virtually “on-campus” as teaching assistants, tutors, and student service employees. Students attending Capella can also work in off-campus positions, tutor children in their communities in math, literacy and reading. Scholarships are given to qualified students that meet certain criteria and are offered through colleges, private donors, organizations, and federal and state government. Students need to meet a set of criteria that may be academic, athletic, artistic or aspirational to apply for and be awarded a scholarship. Delays enrollment (does not enter postsecondary education in the same calendar year that he or she finished high school). Attends part time for at least part of the academic year. Works full time (35 hours or more per week) while enrolled. Is considered financially independent for purposes of determining eligibility for financial aid. Has dependents other than a spouse (usually children, but sometimes others). Is a single parent (either not married or married but separated and has dependents). Does not have a high school diploma (completed high school with a GED or other high school completion certificate or did not finish high school). In 2015, the Department of Education provided $85.7 billion in federal loans directly to students. Of those loans, nearly 73% ($62.1 billion) went to undergraduate students. These loans make it possible for students to attend college without worrying about repayment until after graduation. Federal loan programs offer lower interest rates than private loans, and provide more flexible repayment options, like income-based repayment plans. Check out the Federal Student Aid website for more information on federal vs. private loans. Federal Perkins Loans (school is the lender): Provided at a 5% interest rate, these loans are available to both undergraduate and graduate students. Applicants must prove exceptional financial need to be eligible. Direct Unsubsidized Loans – sometimes called Stafford or Direct Stafford Loans (U.S. Dept. of Education is the lender): Available to all students, regardless of financial situation. Interest on loans will begin to accrue during enrollment. Direct Subsidized Loans – sometimes called Stafford or Direct Stafford Loans (U.S. Dept. of Education is the lender): Available to undergraduate students with proof of financial need. The interest will begin to accrue after graduation. Direct PLUS Loans: for graduate or professional students and parents of dependent undergraduate students to help pay for expenses related to education. Direct Consolidation Loan: allow you to merge or combine all of your federal student loans into a single loan from a single loan servicer. Employers provide work tuition reimbursement as an incentive for their employees to begin or continue their education. Typically, the employee is responsible for paying tuition upfront and is reimbursed by their company after completing the program. The amounts awarded, GPA requirements, and policies on distance vs. traditional college will vary greatly by employer. Companies may also require that the area of study directly related to the employee’s line of work. 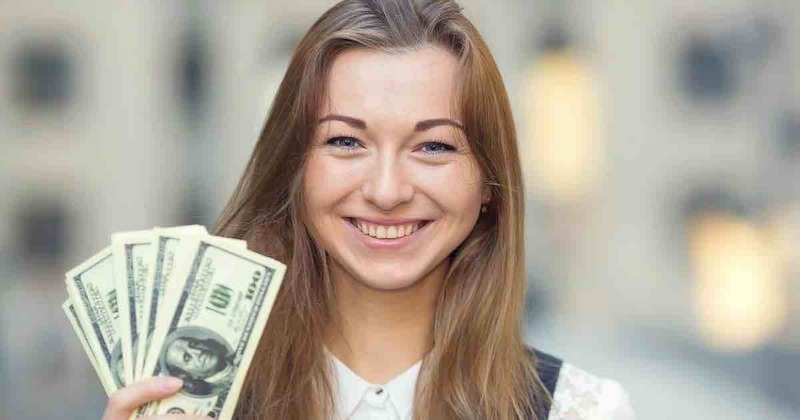 Tuition reimbursement programs are on the rise in American workplaces, and there’s a good chance your employer might offer some form of financial aid. The Society for Human Resource Management reported that in 2015, 56% of companies offered undergraduate educational assistance, and 52% offered assistance to graduate students. Eleven percent of companies even offered educational scholarships to their employees’ families. Find out if your company offers tuition reimbursement and what their requirements are by meeting with your HR representative. 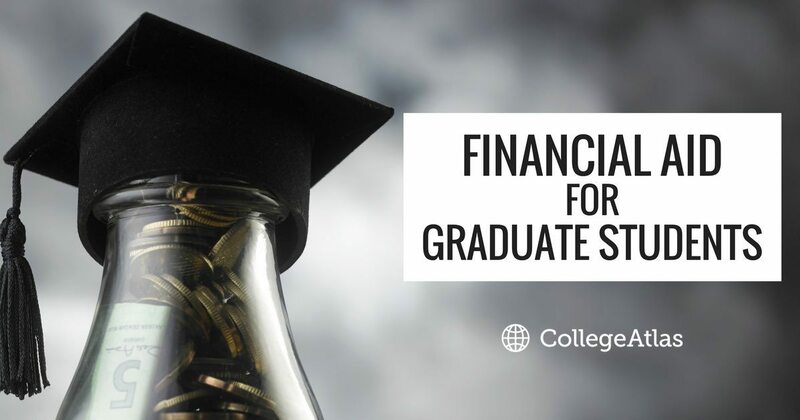 Start the financial aid and saving for college process early—give yourself plenty of time to fill out the FAFSA form, search and apply for scholarships, and develop a plan to save for school. Contact your institution to see if they accept transfer credits, or of if you can utilize online classes or massive open online courses (MOOCs) to satisfy general education requirements. Visit edX.org to see which free, online courses are being provided by reputable colleges and universities across the country. Find out if your institution provides a virtual library or free access to e-books to avoid purchasing textbooks. Check out the Ten Commandments of Financial Aid and Financial Aid Options: Ask the Experts for more tips on how to fund your education with financial aid. 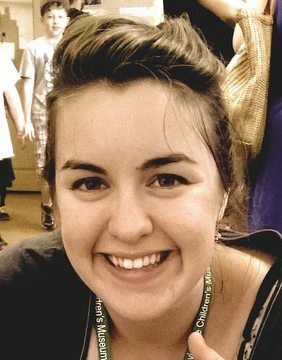 Sarah Schnurr is a freelance writer and teacher with a background in art and hands-on STEM education. She writes articles on Pre-K through college topics: from finger-paints to financial aid, and everything in between. 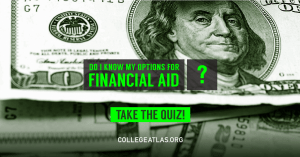 Do I Know My Financial Aid Options?